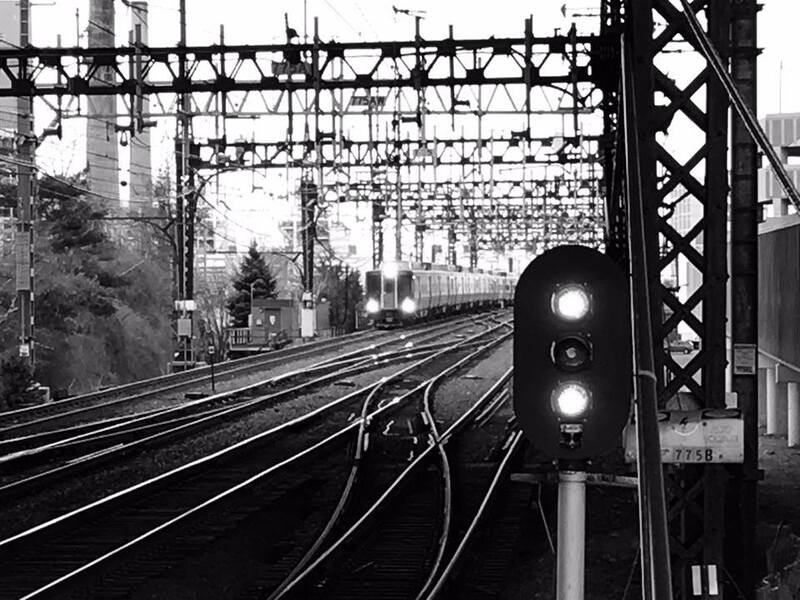 The Connecticut Department of Transportation is announcing that Phase 2 work continues on schedule with the installation of the railroad track jump spans on the Metro North/Atlantic Street Bridge. This installation is the first major part of the bridge replacement project and will prepare the site for the construction of the abutments for the new bridge. The temporary, or ‘jump’ span work will take place over consecutive two week periods for each track and are scheduled to be completed by Fall 2018. No reduction in train service is expected due to this activity. Using Accelerated Bridge Construction (ABC) techniques, temporary bridge spans or ‘jump spans’ are being installed to allow for the construction of the new bridge abutments without major disruptions to rail service or surface traffic. Currently, the existing abutments will not be compatible for the new replacement bridge which is wider and longer than the current bridge. Each jump span will carry one track while allowing for work to take place beneath the existing railroad structure while normal train operations continue above. Beginning with Track #4 and proceeding north in succession, each track will be out of service for only 9 days while the spans are installed. During this time train service will be unaffected. Conventional construction techniques would ordinarily require more extensive closures of rail and surface streets for up to a year per track. Phase 2 work includes replacing the Metro North/Atlantic Street Bridge, the reconstruction of Atlantic Street and track and infrastructure improvements to the Stamford Train Station. Multimodal accommodations will provide for future bike lanes and beautification will be incorporated in the project. The work began in June 2018 and will conclude in November of 2020. These collective improvements will improve surface traffic operational efficiencies, improve access to the South End neighborhoods and improve local and express train service with the addition of a dedicated Track #7, extended platform and dedicated stairway. DOT Project No. 135-301 & 301-163 was awarded to Halmar International of New York, NY on September 1, 2017 for $74,846,308. This project is administered by the Office of Construction – District 3A, New Haven.